KORREK Pro Ceramic TFC™ coatings are applied by trained and certified KORREK authorized partners only. The technology of ceramic thin-film coating gives the vehicle a deeper and longer lasting shine and effectively protects the paint from extreme conditions. 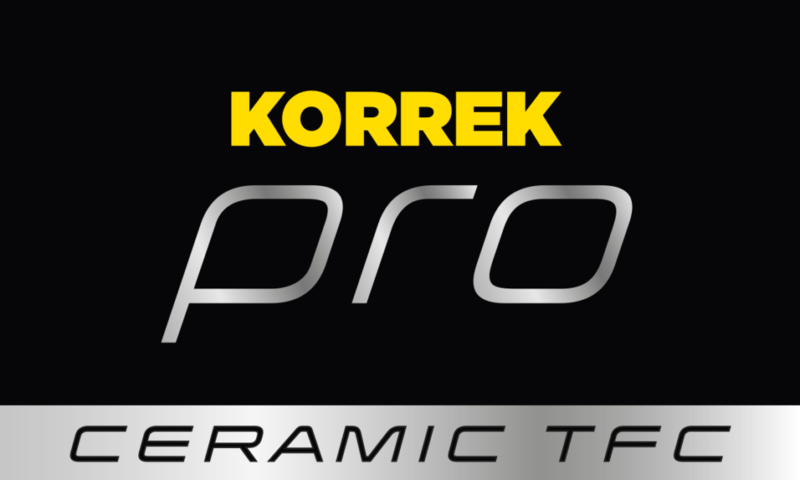 If you are interested in the professional KORREK Pro Ceramic TFC™ products, please contact us at info@korrek.com. Top-quality wax concentrate for brush or polishing wax in a car washing machine. Premium wax concentrate. Use for waxing with car washing machines and high pressure washers. Powerful emulsifiable hydrocarbon based solvent cleaner for degreasing and removing protective wax as well as washing machines, motors and workshops. Alkaline and gentle, yet efficient concentrate especially for summer use. A slowly evaporating solvent based remover for tar and glue. Big Apple is pleasantly scented and effective, yet gentle shampoo for washing all outer surfaces of your car, also for matt and glossy taped areas. KORREK Pro Ceramic TFC™ Cure is a state-of-the-art ceramic elastomer coating. KORREK Pro Ceramic TFC™ NanoSeal 4K is a permanent ceramic coating for professional use. The coating effectively protects surface from scratching and hides existing scratches. PP Clean is a very effective presoak for professional use. Pro Quartz is an extremely durable ceramic TFC-coating for professional use. Reload is a completely new effective and simultaneously coating shampoo for washing all outer surfaces of your car. Tarex is a new hybrid cleaner for professional use, combining powerfully washing agent and solvent cleaner. KORREK Pro TFC™ Polymatrix thin film coating (TFC) is a ceramic coating that effectively protects car surface and hides existing scratches.